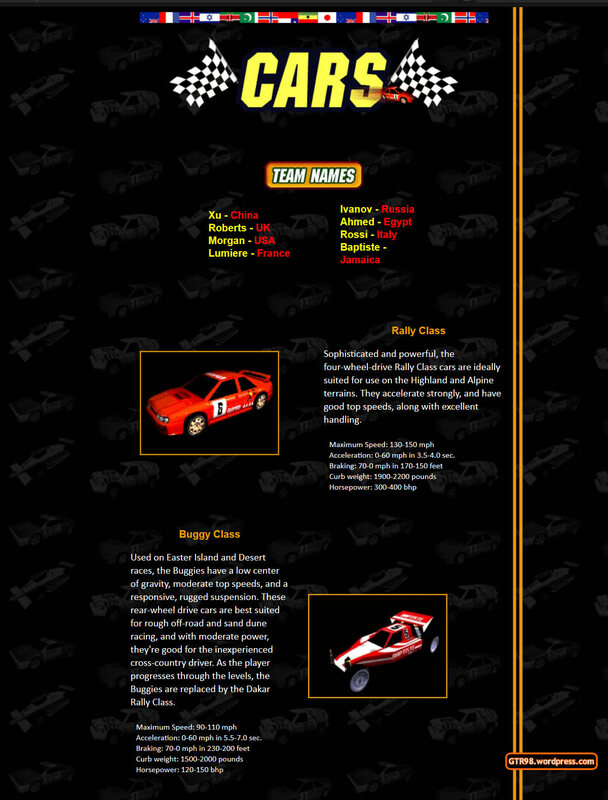 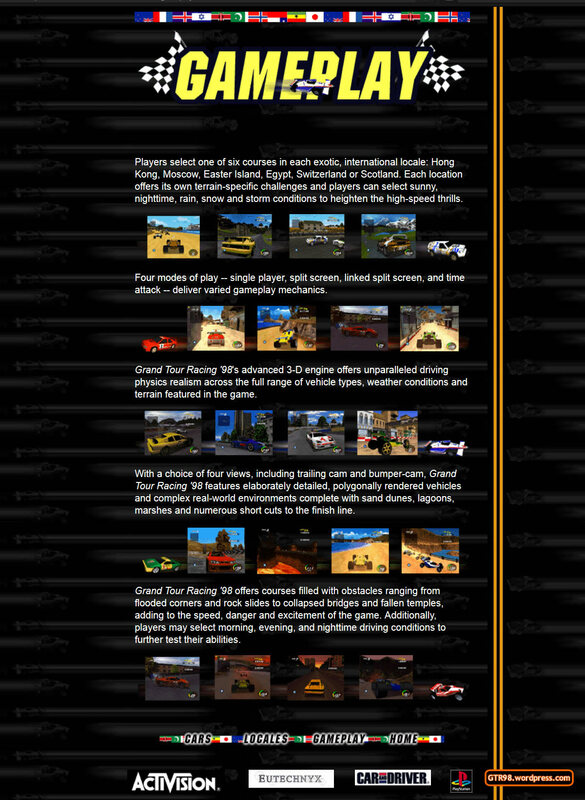 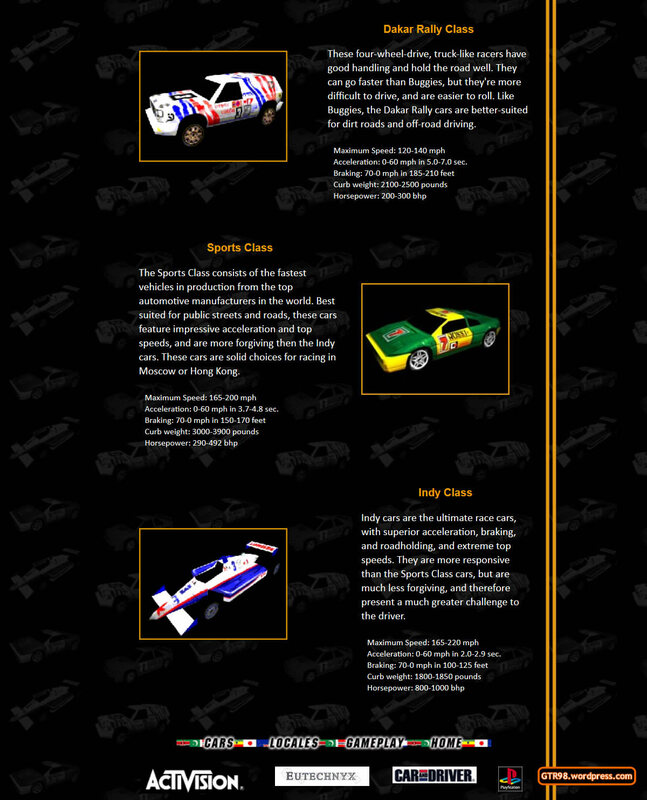 Take a trip down memory lane, with these screenshots of the long-defunct OFFICIAL GTR98 website by Activision, as it appeared circa 1997. 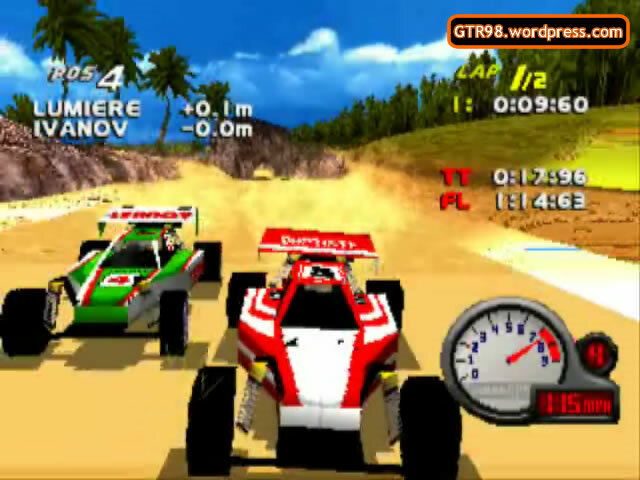 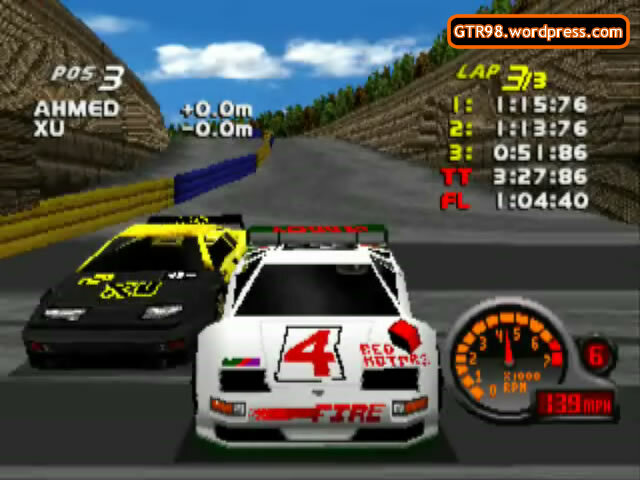 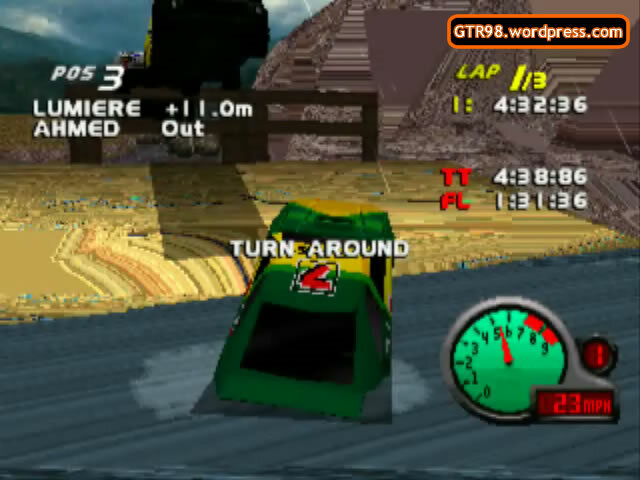 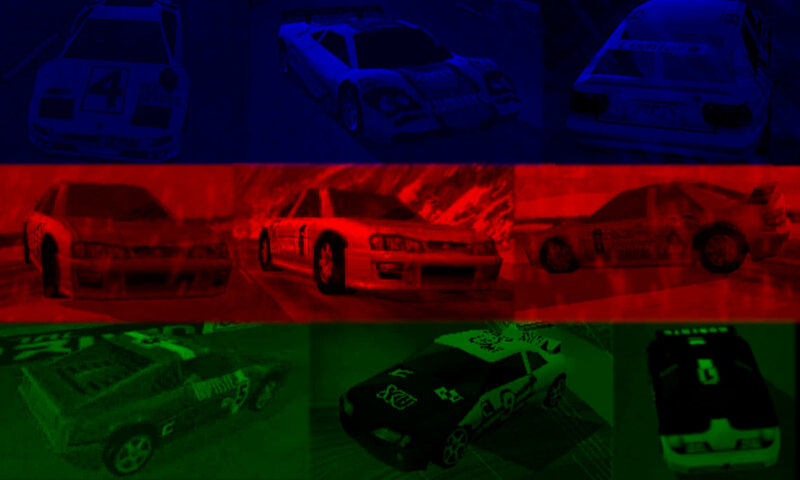 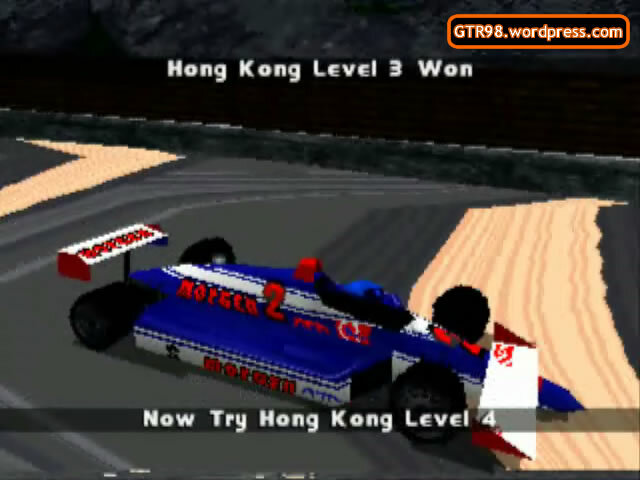 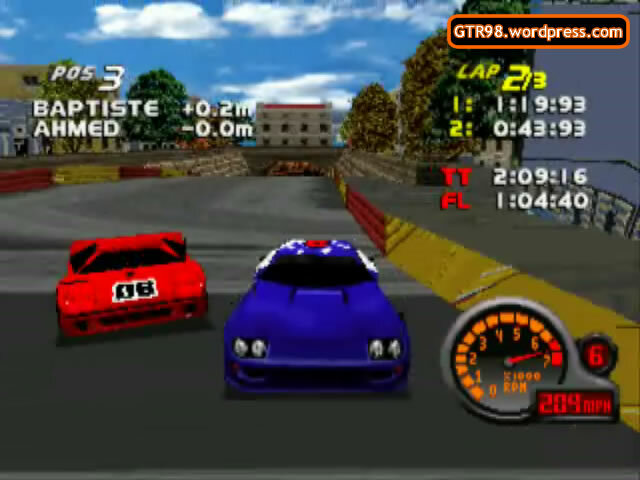 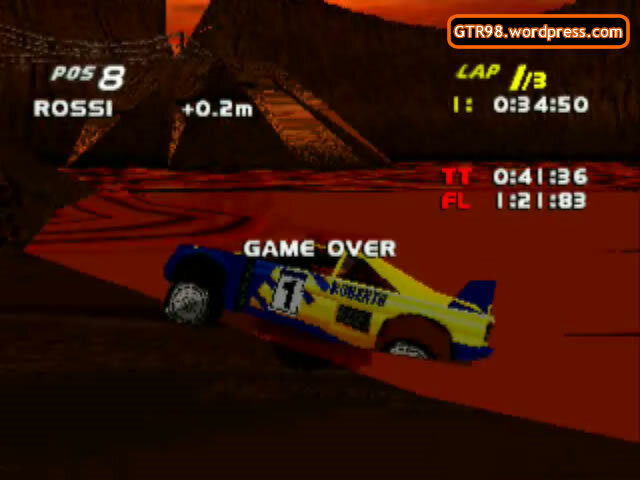 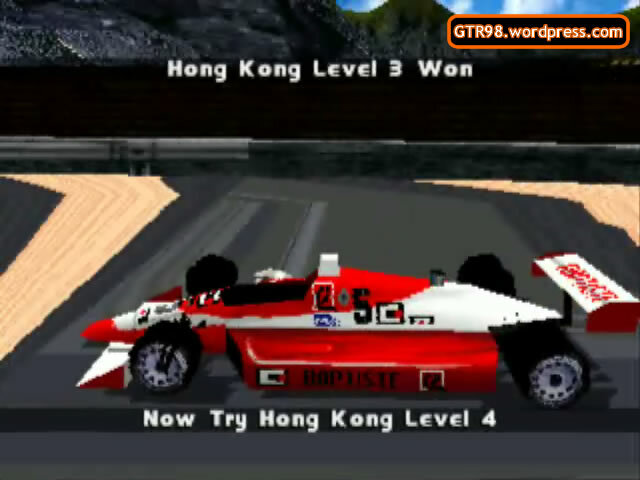 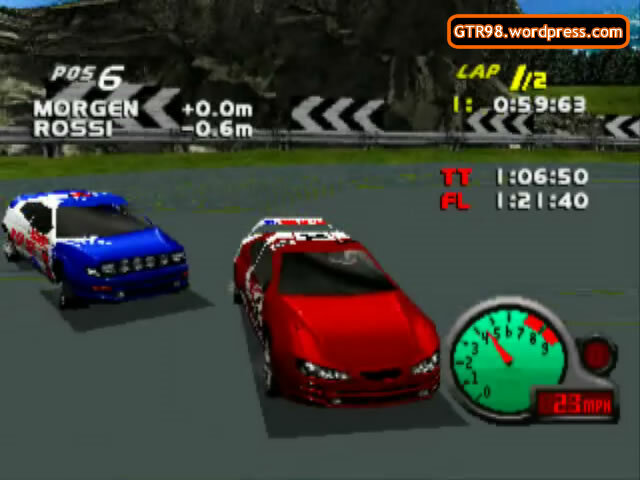 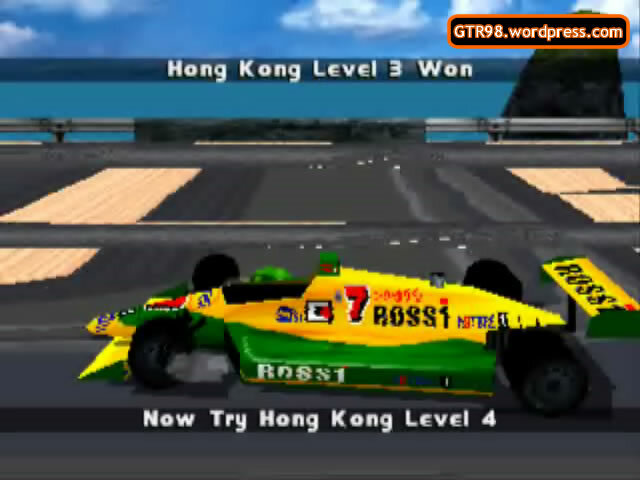 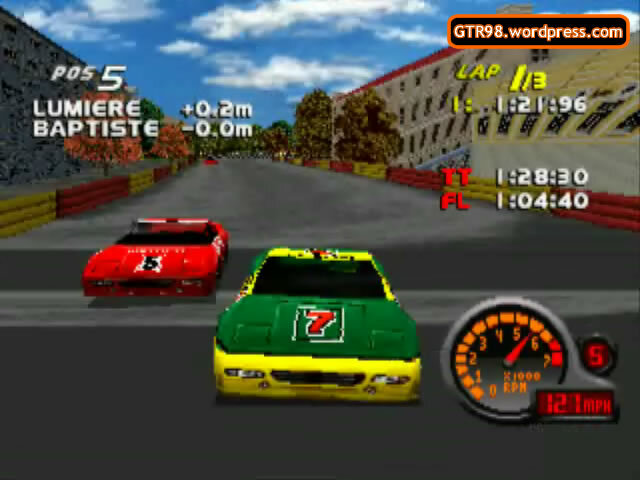 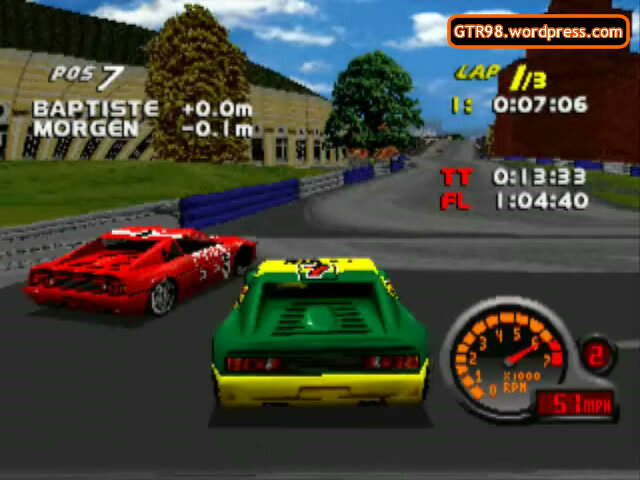 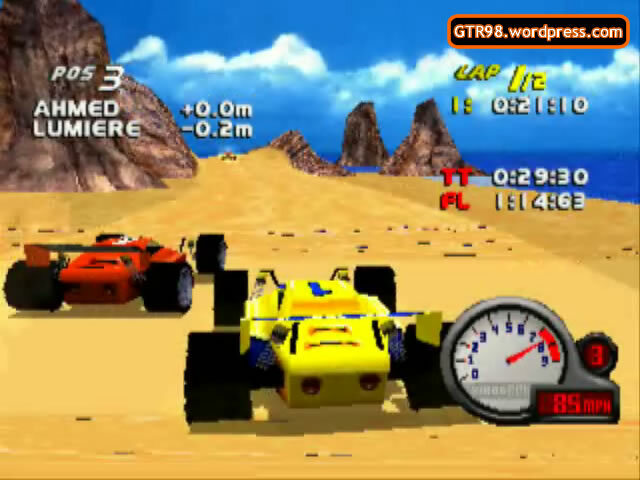 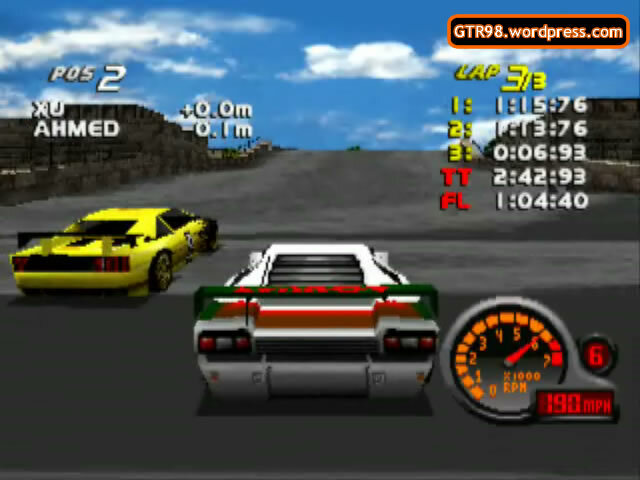 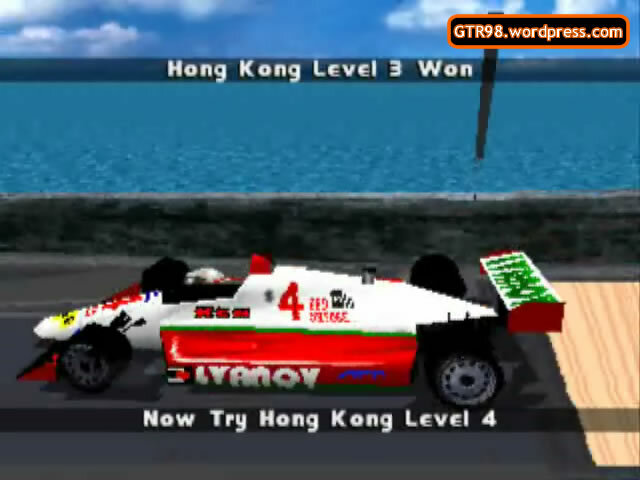 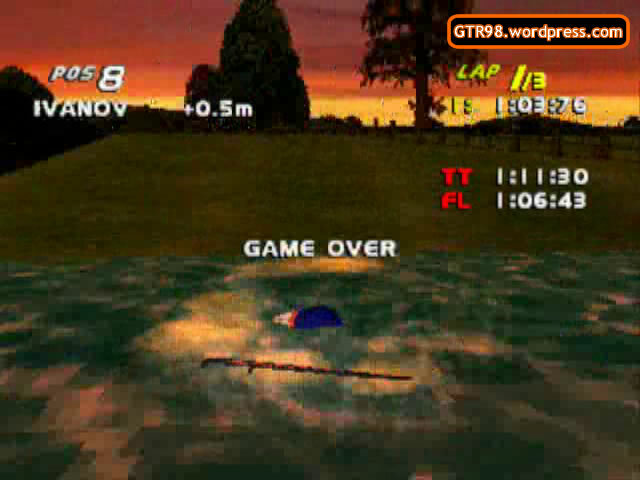 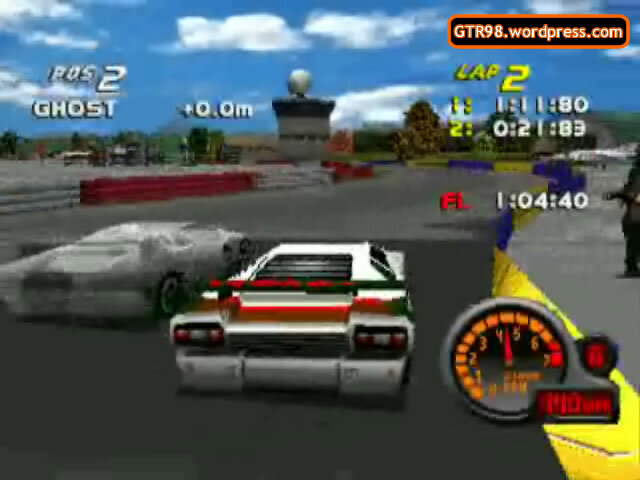 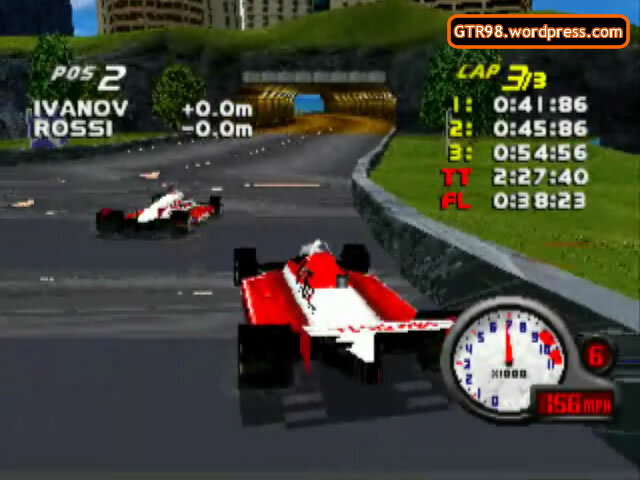 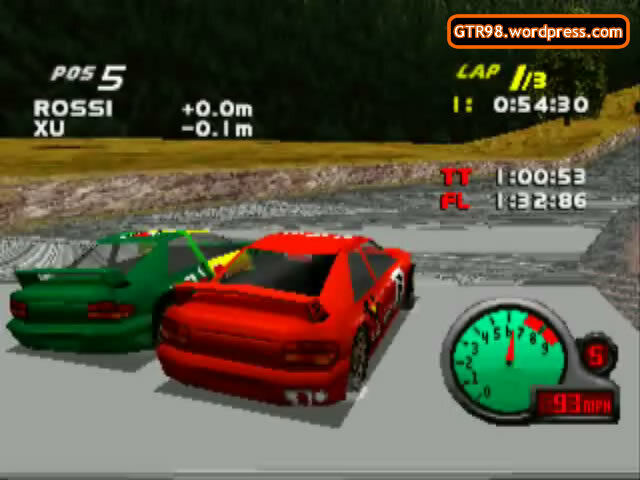 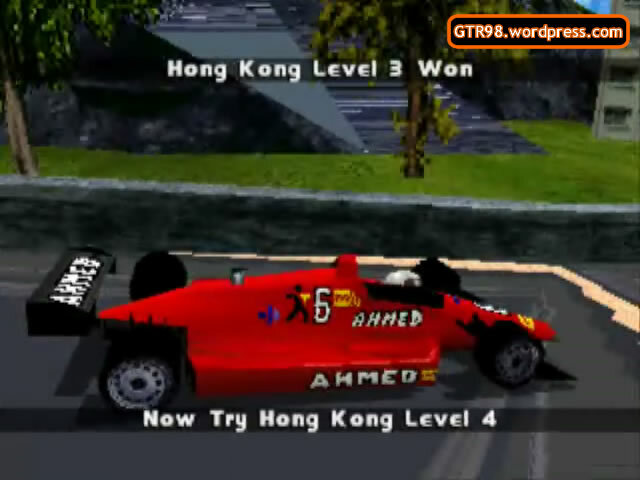 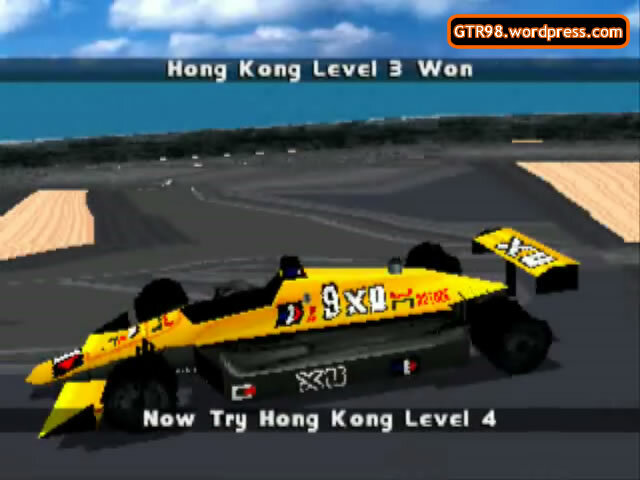 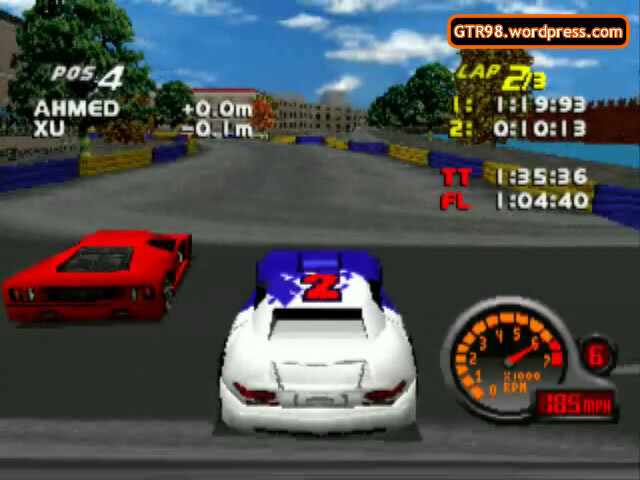 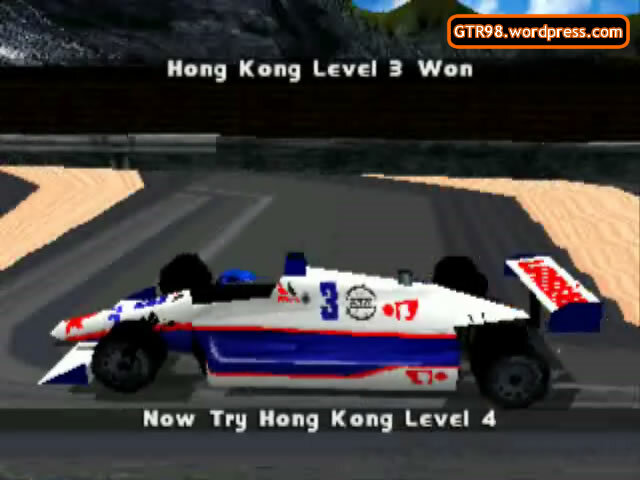 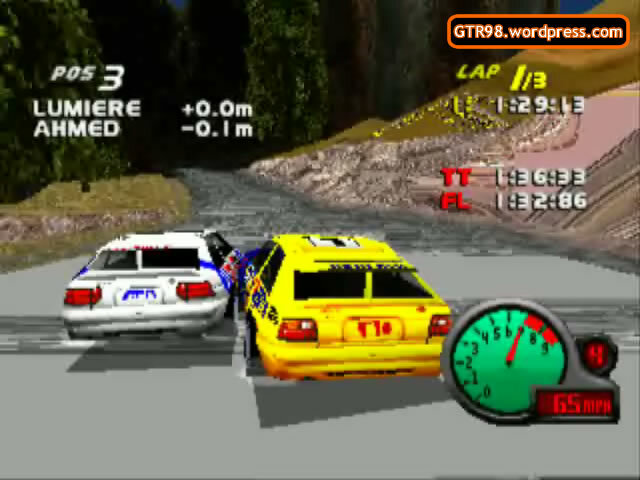 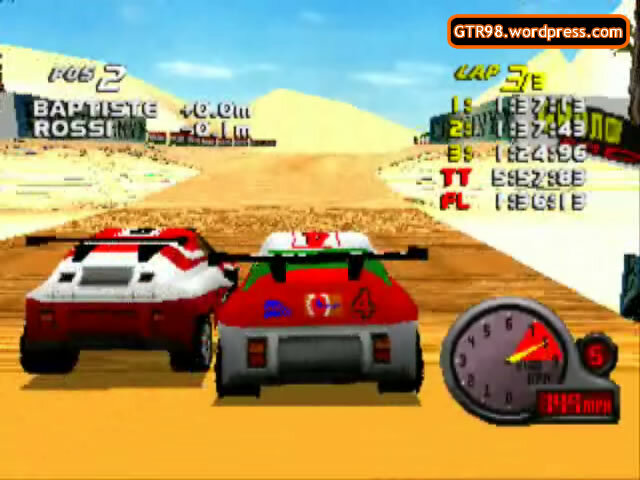 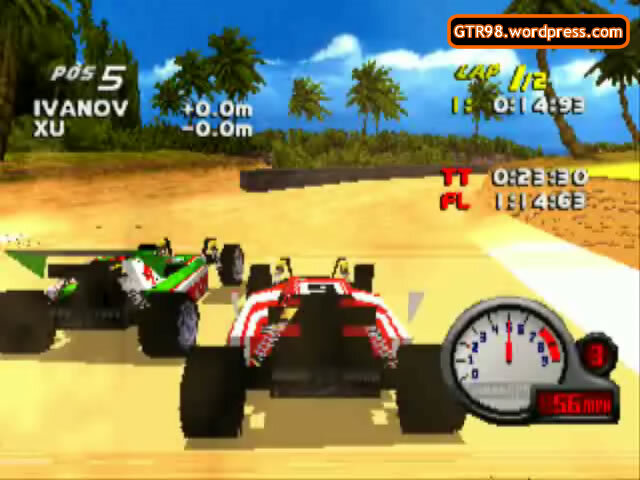 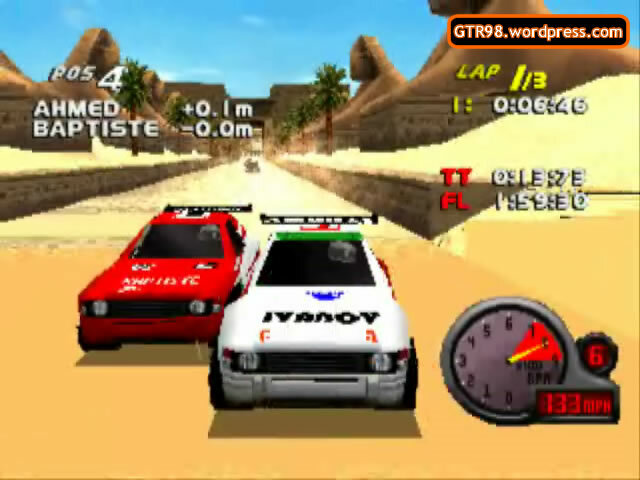 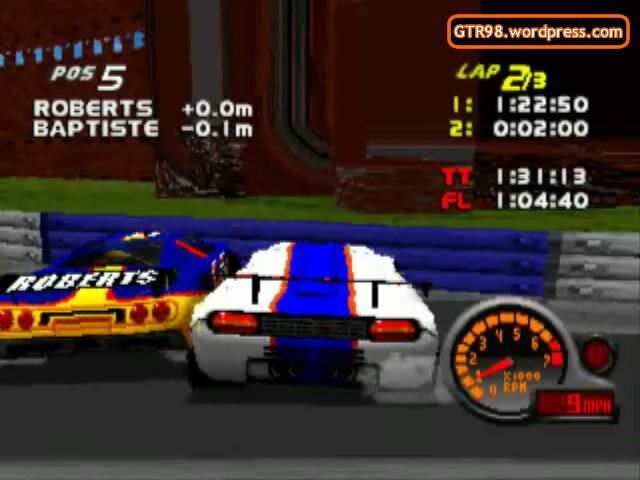 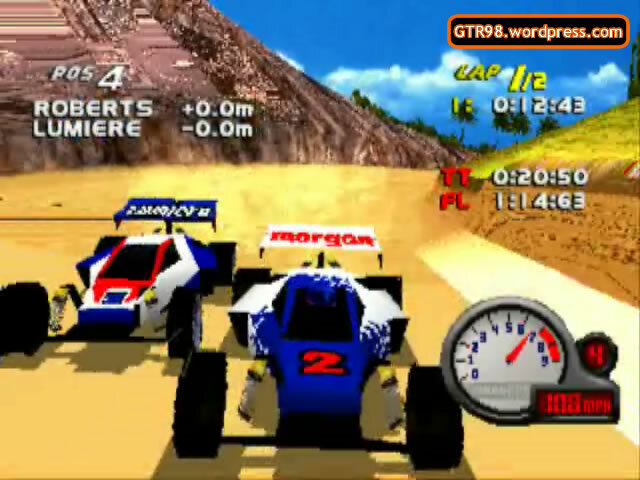 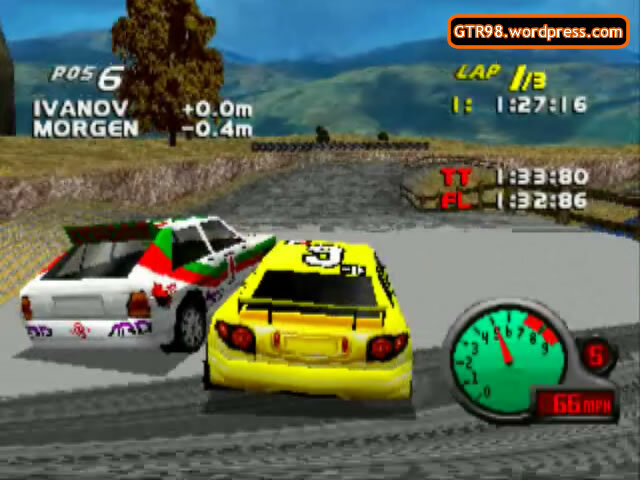 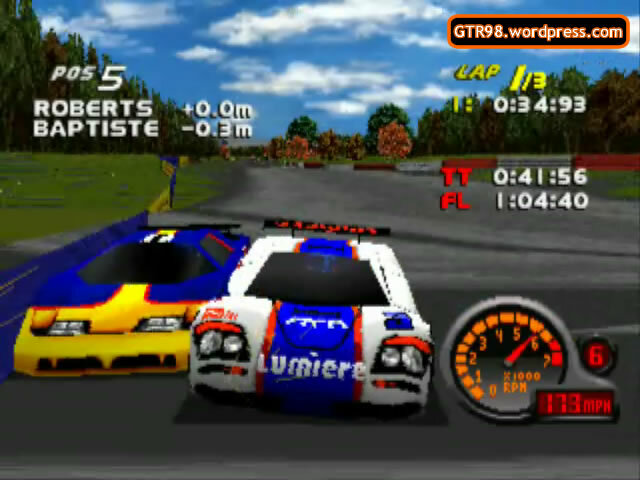 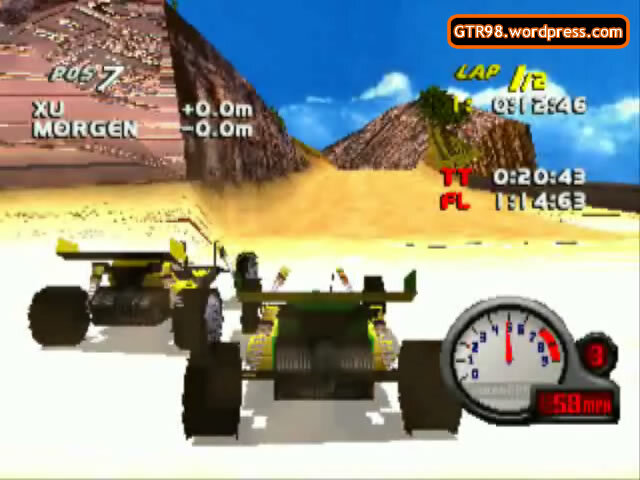 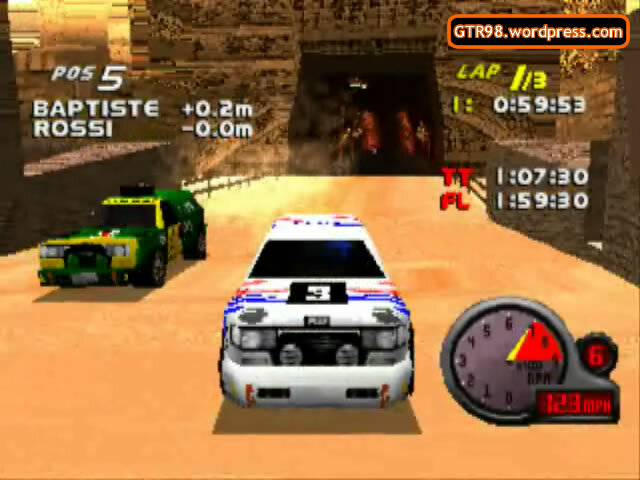 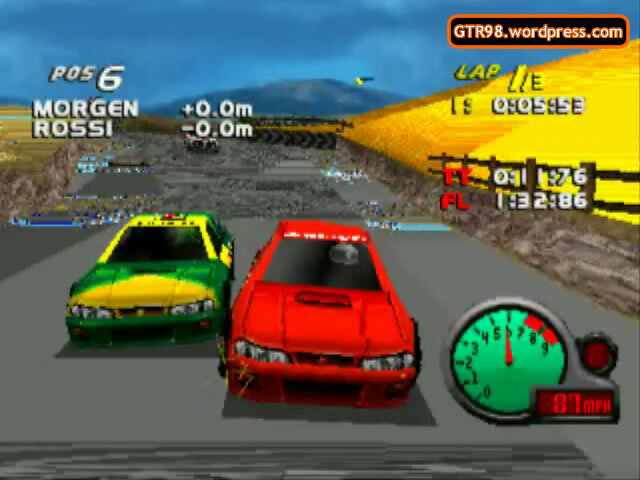 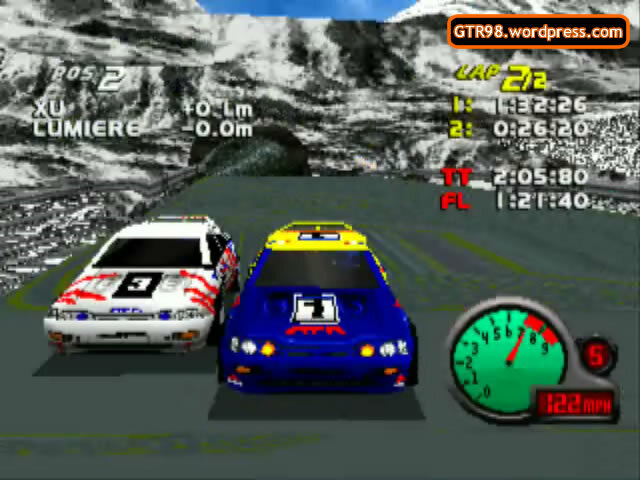 In GTR98, within the various car classes, cars are paired according to their physical appearance and approximate driving experience (except for the Indy class, where the differences are minimal). 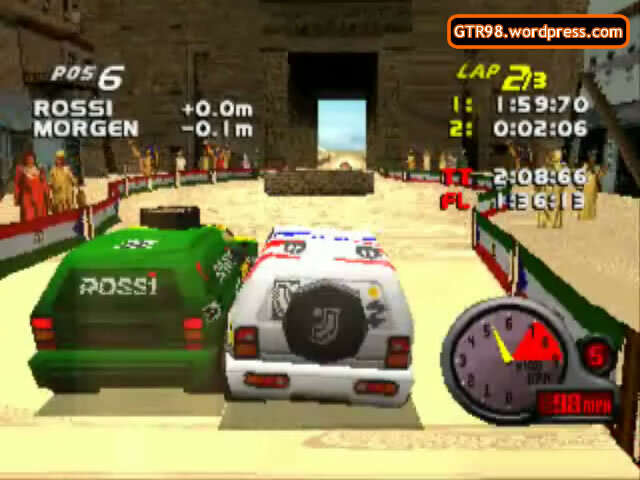 The only things these two have in common are their light weight, and their great tendency to flip over at U-Turns. 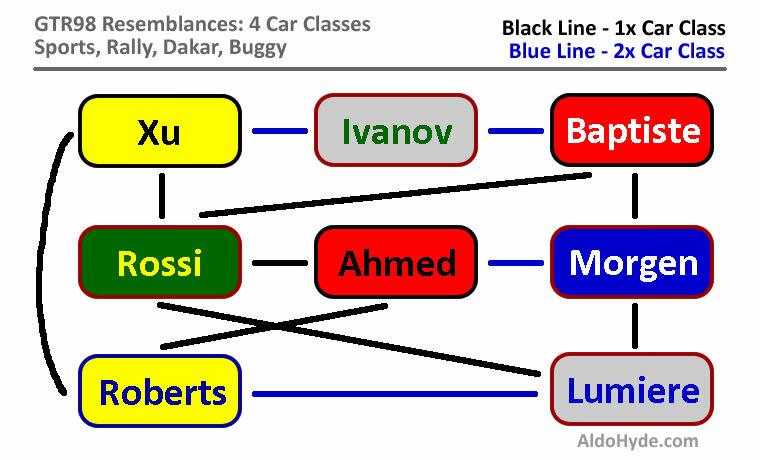 The differences between the Indy cars are minimal, so the Indy Class is NOT included in the [Resemblance Chart]. 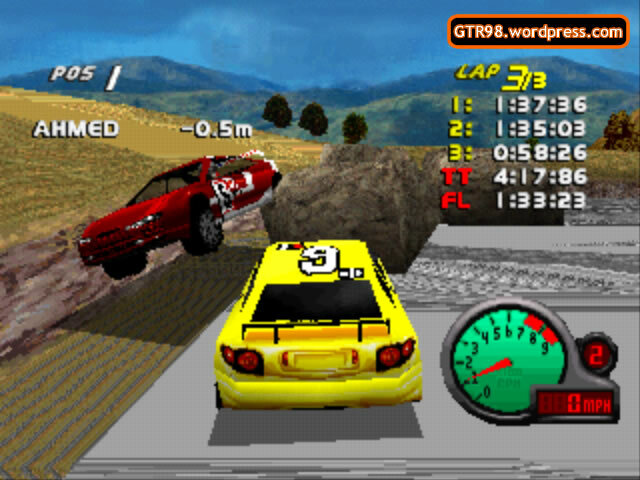 Occurring in sets of three in Scotland races, these boulders’ purpose is to block the road into one-car bottlenecks. 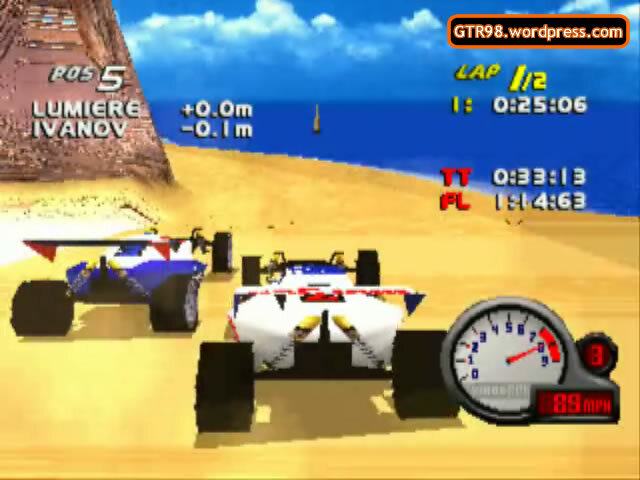 A common obstacle in Scotland races, they are present in five levels starting from Scotland 2. 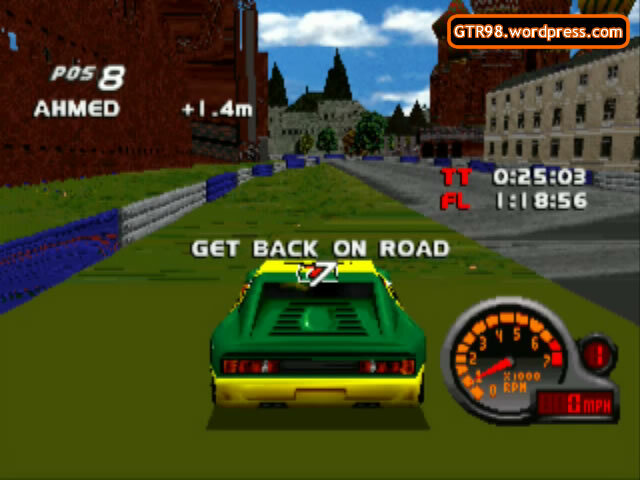 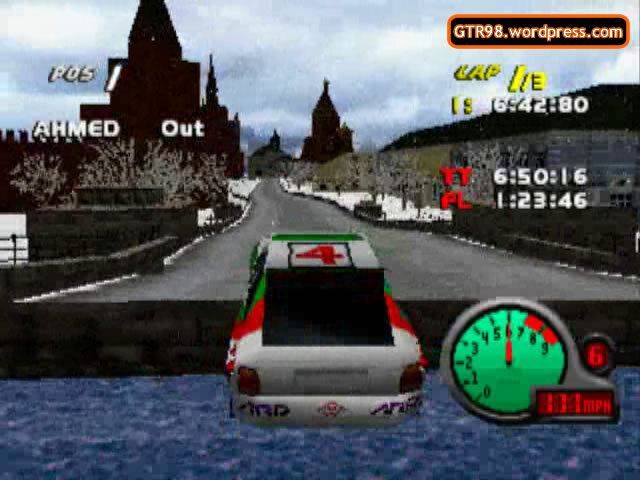 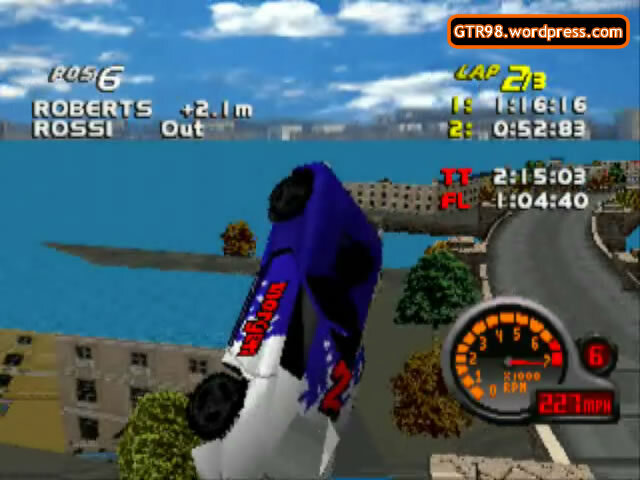 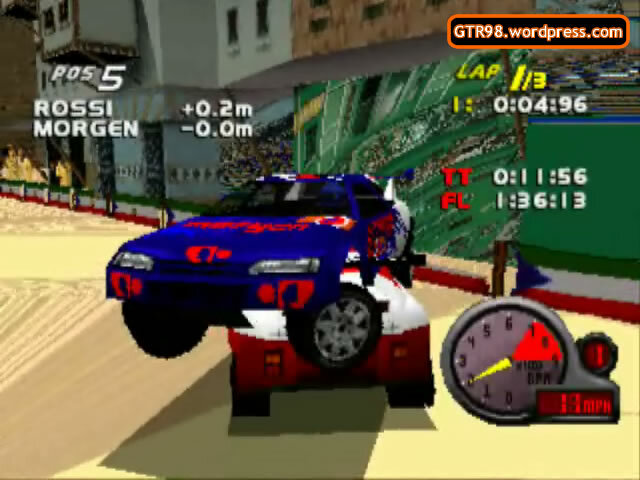 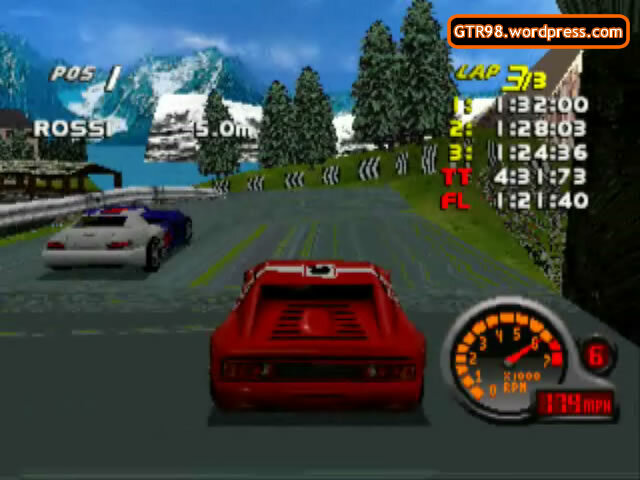 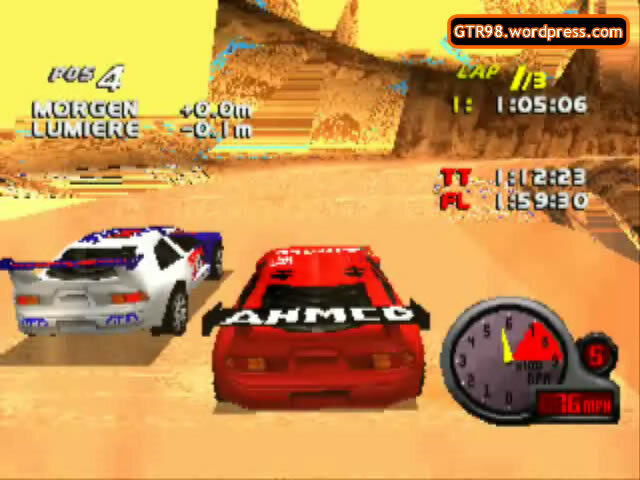 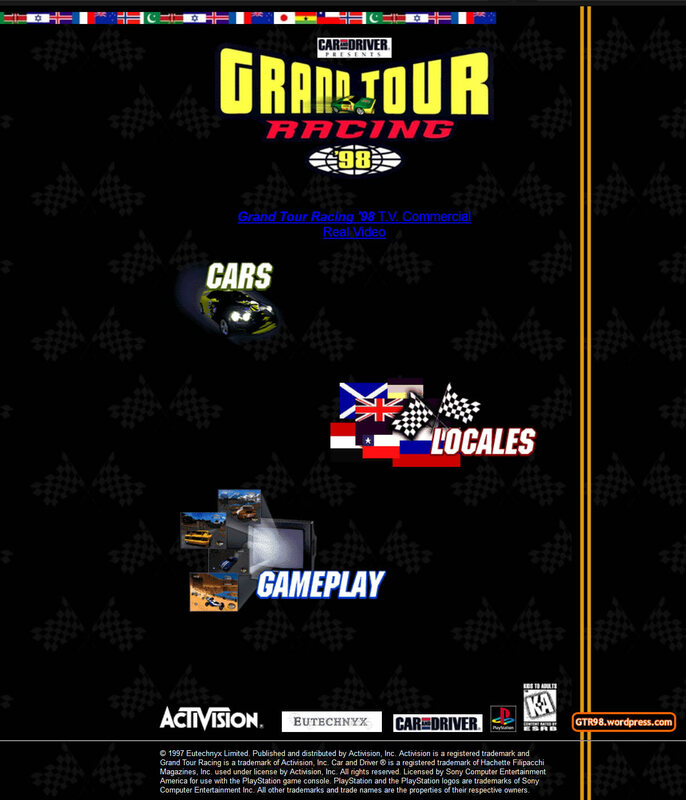 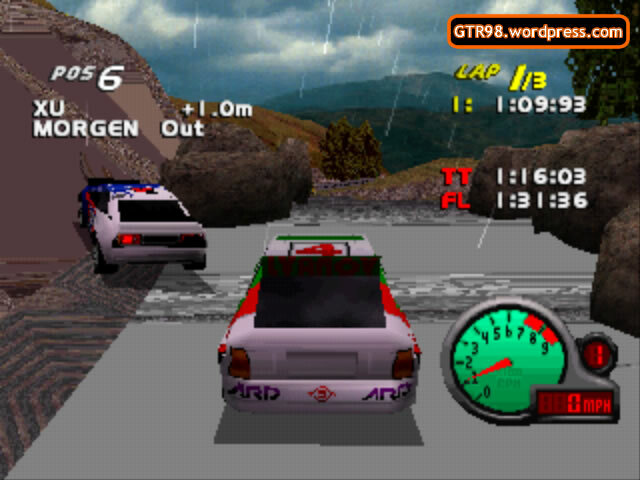 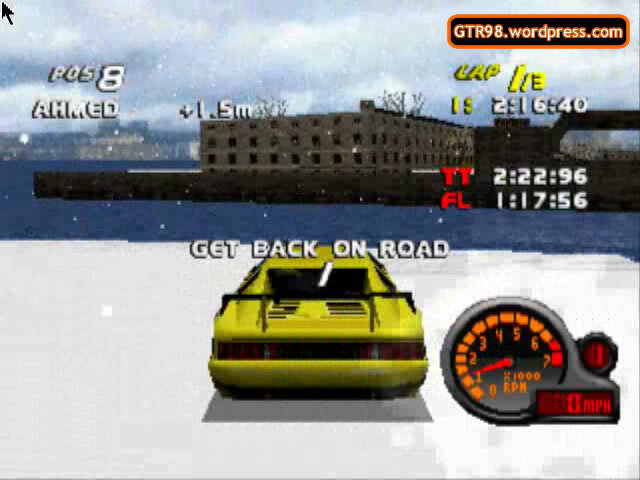 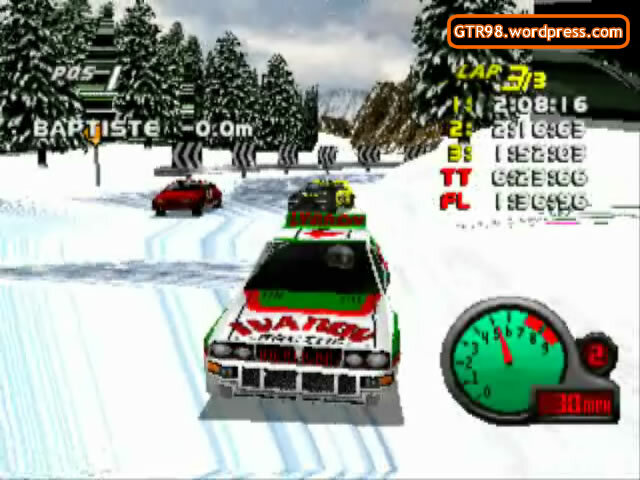 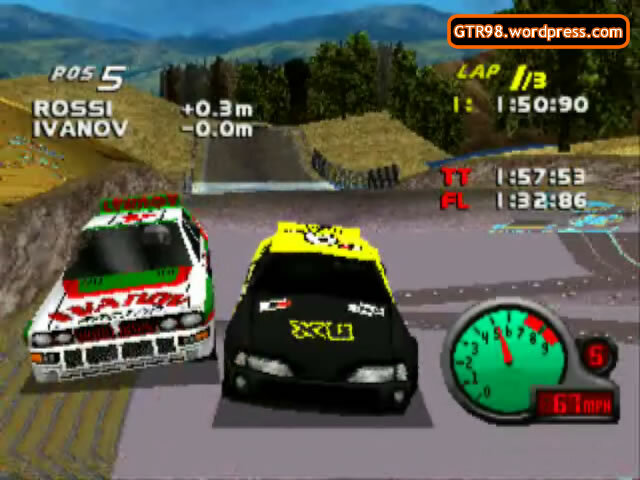 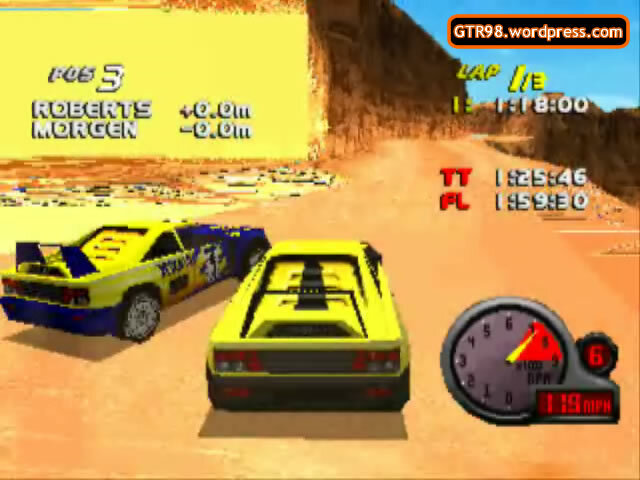 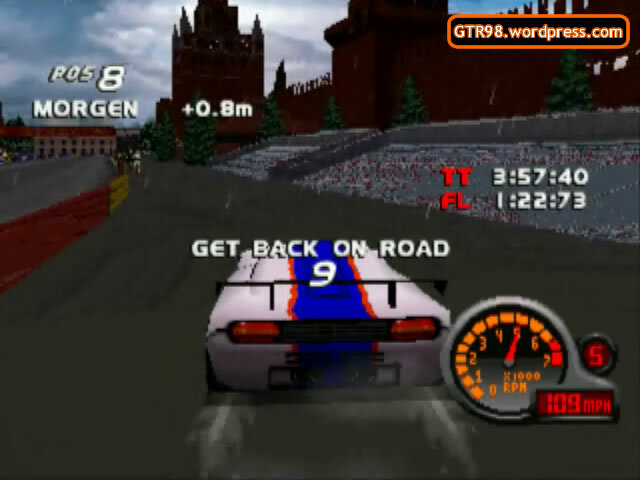 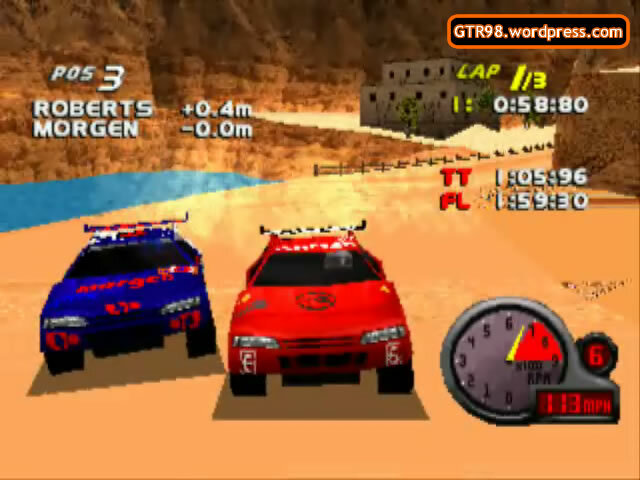 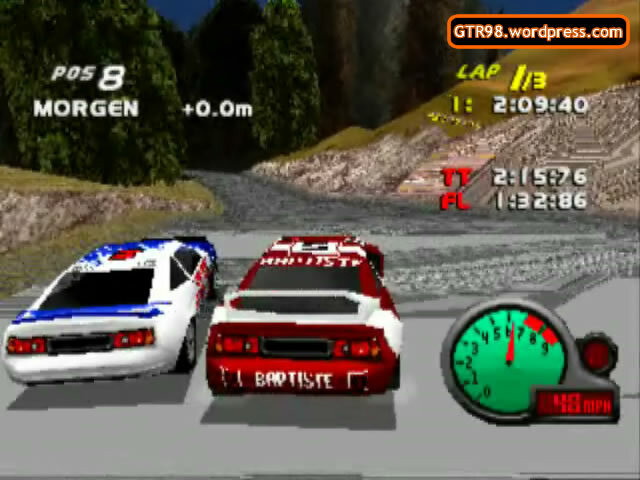 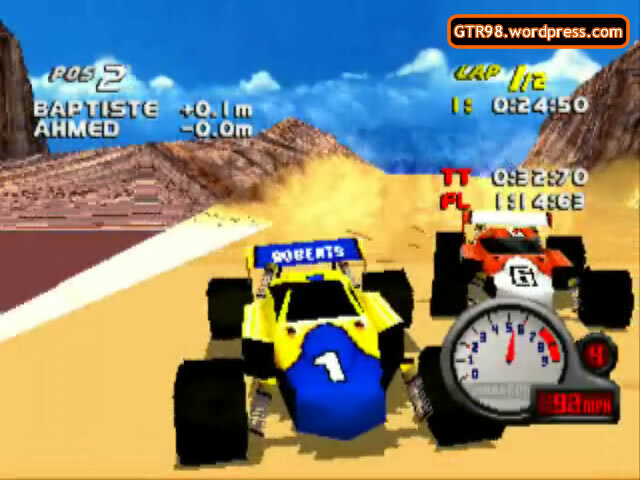 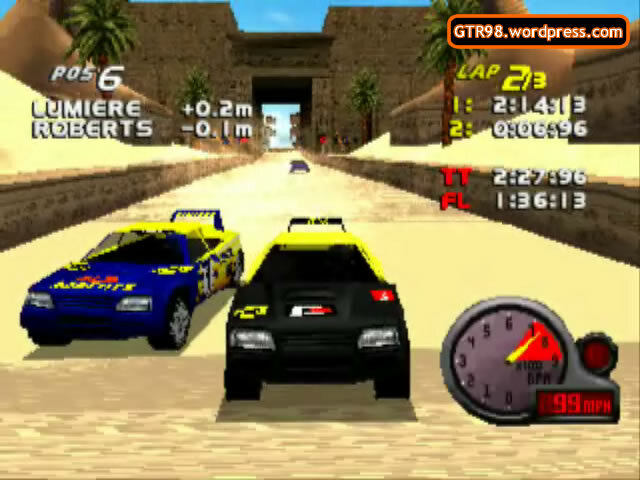 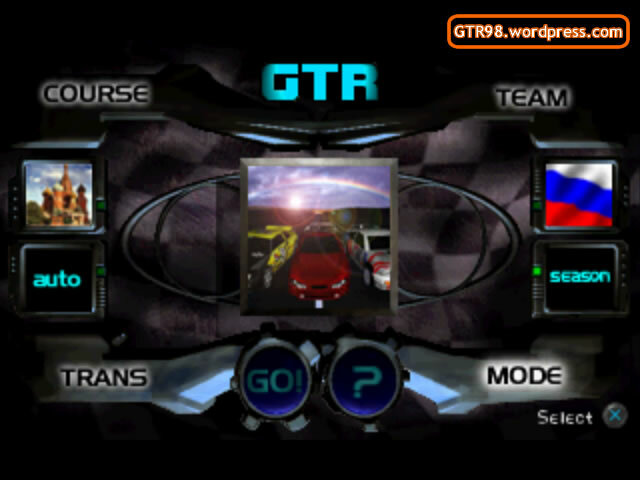 Season is a default gameplay mode, available in the Main Menu of Grand Tour Racing 98 and Gekisou Grand Racing. 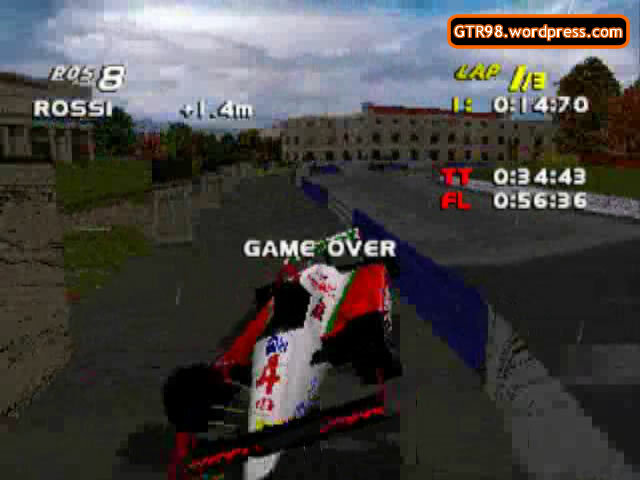 Ivanov completes a Full Rampage in Moscow 7. 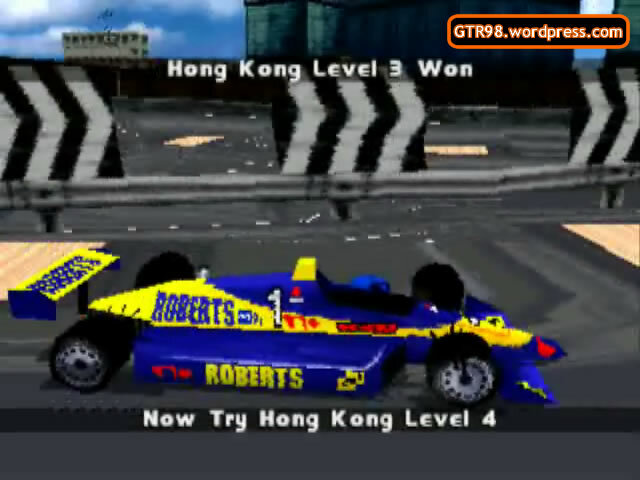 Baptiste completes a Non-Deadly Full Rampage in HK 7. 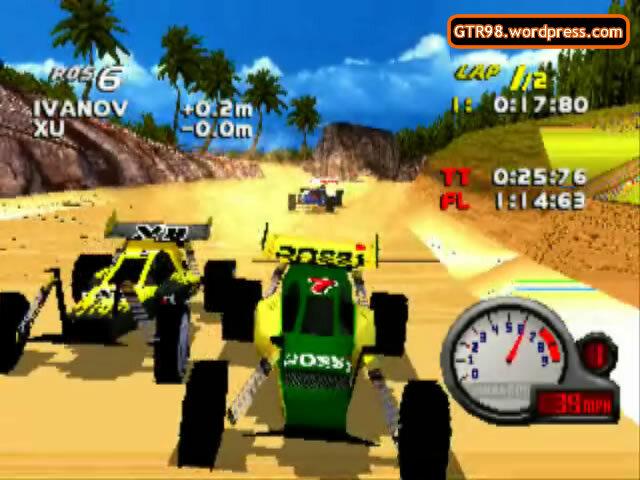 A Rampage is an unofficial gameplay challenge where the human player seeks to knock Out as many AI opponents as possible. 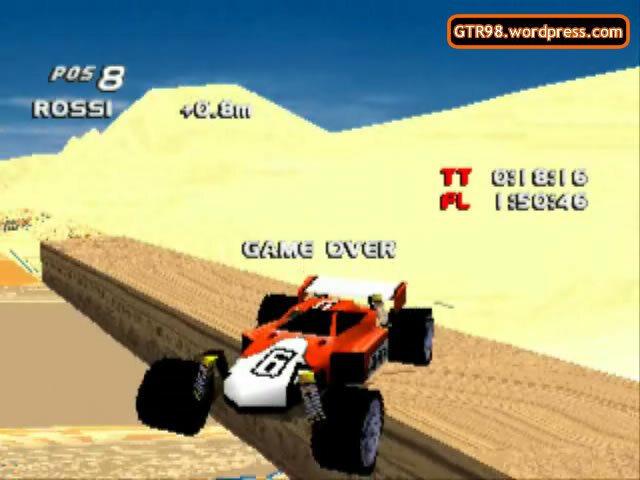 While Rampages can be attempted on any track, levels with readily-accessible Out Zones, particularly high levels, are those where cars can be handily sent Out.